Discussions with our classic car friends often lead to the topic of classic car storage. The ideal storage, obviously, would be a warm garage stall for every car. That is beyond what most of us can afford. Many of us have space constraints that won't permit it. 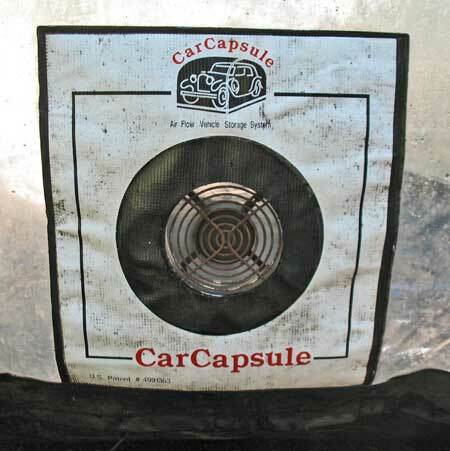 One compromise is the use of a product called the Car Capsule. The Car Capsule is an all vinyl product sewn together with a base mat in black and the top in a sturdy 10 mil thick PVC clear cover. A zipper is used to mate the upper cover to the base mat. 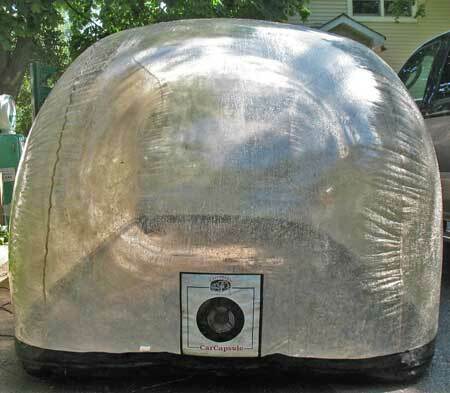 To prevent condensation, a square fan in front (held in place with Velcro) keeps the air moving within the Car Capsule. Car Capsules come in sizes suitable for collectible cars, motorcycles, or small size recreational vehicles and are available for either indoor and outdoor use. Sizes range from 9 to 30 feet long. 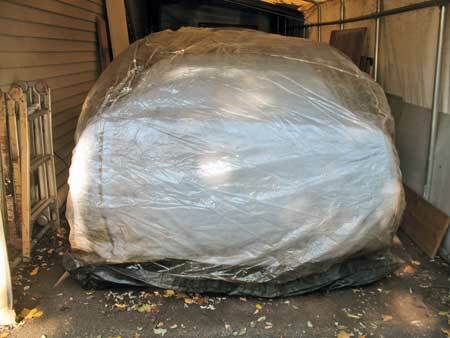 Photo 1 — Empty Car Capsule sitting while inflated on flat asphalt. Purchased in 1998, this particular capsule is now eighteen years old and is holding up well. Photo 2 — Close up view of the small blower fan used to inflate the Car Capsule. The fan is powered by a 12 VDC wall mount transformer, runs continuously 24/7, and consumes 12 watts. Photo 3 — Rear view of the car to be stored inside the Car Capsule. The photo was taken about 1 minute after the fan was plugged in and shows to be about 50% inflated. Photo 4 — Front view of the car stored inside the Car Capsule. The photo was taken about 8 minutes after the fan was plugged in and is 100% inflated. 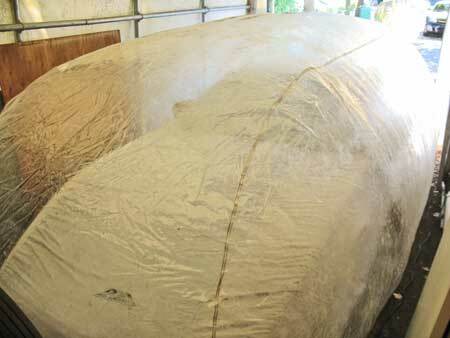 A cotton car cover provides an extra layer of protection.